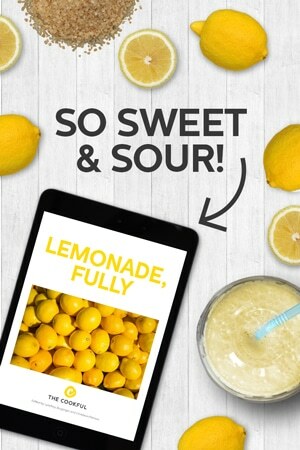 Classic Lemonade10 Mix-In’s to Make Your Lemonade PopWhen Life Gives You Lemons: A Shopping GuidePink Lemonade, Beyoncé Approved! We are the generation of instant gratification and this 100% whole lemon lemonade quenches my immediate thirst in a matter of minutes. Insert happy lemon emoji here! 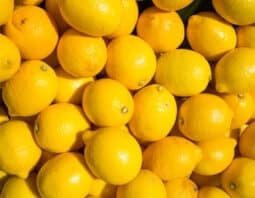 As much as I love lemonade in the summer, I’ve always hated the task of juicing lemons, and I never seem to have enough lemons on hand. Plus, between making a sugar syrup and waiting for it to cool… I’ve almost lost my thirst for it by the time it’s ready. So when I heard about “blender lemonade” or “whole lemon lemonade,” it sounded like the perfect solution. 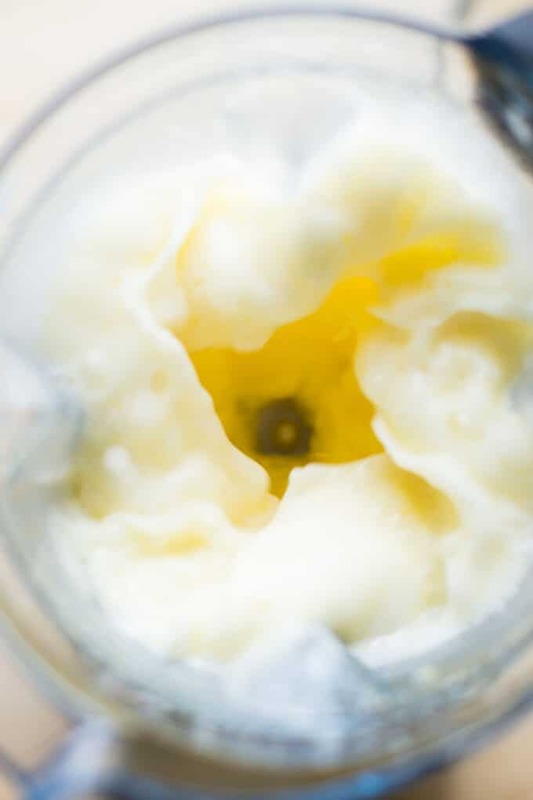 In case you aren’t familiar, blender lemonade is based on the simple idea that you can blend up a whole lemon with some water, sugar, and ice and have a nice tall glass of cold lemonade in under 5 minutes. Magic, right? 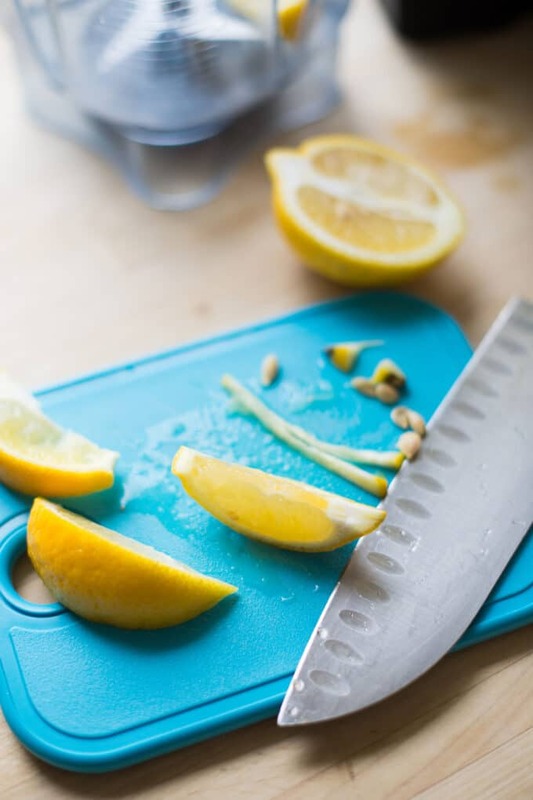 Cut your lemon in half lengthwise, then cut each half into quarters lengthwise so you end up with eight lemon slices. Cut off the pith from the center of each wedge, then knock the seeds out with your knife. 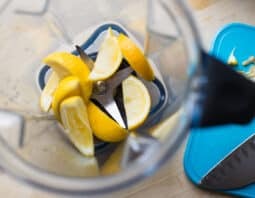 Place your lemon slices into a blender. Add 2 cups of water, a handful of ice cubes, and some sugar (I used 1/4 cup of granulated sugar, but you could use more or less depending on your taste, or even try a liquid sweetener like honey or agave nectar). Then just blend it up until it’s smooth. I used my Vitamix and it was done really quickly, but a regular blender should be able to do the job in 1-2 minutes. The result? 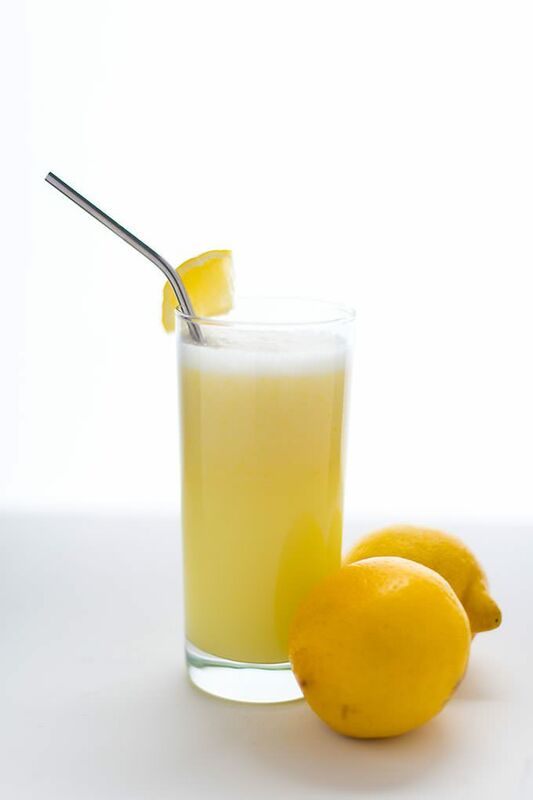 An opaque lemonade with a foamy top that tastes pretty darn close to the real deal. It isn’t too intensely lemony, so if you are after a lemon explosion, put the time in for a true lemonade like this classic version. The blender lemonade isn’t quite as pretty as real lemonade, and there’s a slight bitterness from the rind, but neither were bothersome enough to outweigh the convenience of the recipe. Definitely give this method a shot if you want lemonade pronto! Place your lemon slices into a blender. Add water, ice cubes, and sugar. Blend until smooth, about 1-2 minutes.